Alan Levine is the creator of the ongoing digital storytelling series MOOC DS106 and blogger behind CogDogBlog. He is recognized as a pioneer in online storytelling and education. He will be in Fairbanks to deliver the keynote speech for UAF’s Techfest. 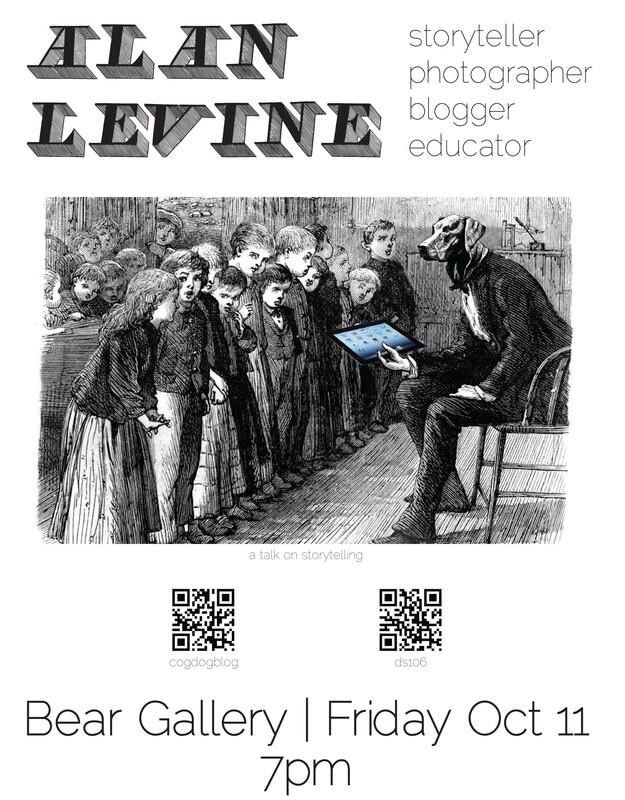 Please join us Friday, Oct 11th at 7pm as we welcome Alan Levine to the Bear Gallery. For more information on his work please visit http://cogdogblog.com/ and http://ds106.us/ . For more information regarding the event please contact Jill Shipman at 456-6485 ext. 222.